Too often, the subject of radio communications is treated as an ‘after thought’ in pilot training. The student pilot may be expected to learn largely from their own training experience but, without a deeper knowledge of proper radio phraseology and Air Traffic Service (ATS) procedures, the student becomes a pilot who is under-confident in use of the radio and dealing with any ATS unit other than that at their home airfield. This potential shortcoming was addressed in the 2015 EASA Private Pilot Licence (PPL) and Light Aircraft Pilot Licence (LAPL) courses, produced by a team of experienced flying instructors and examiners put together by the UK Civil Aviation Authority (CAA). This new syllabus is designed to bring PPL and LAPL training in-line with the modern training environment. In particular, the new training courses are focused on providing up-to-date and practical aeronautical knowledge, rather than requiring the pilot to rote learn largely academic and irrelevant material with little application to ‘real world’ flying. 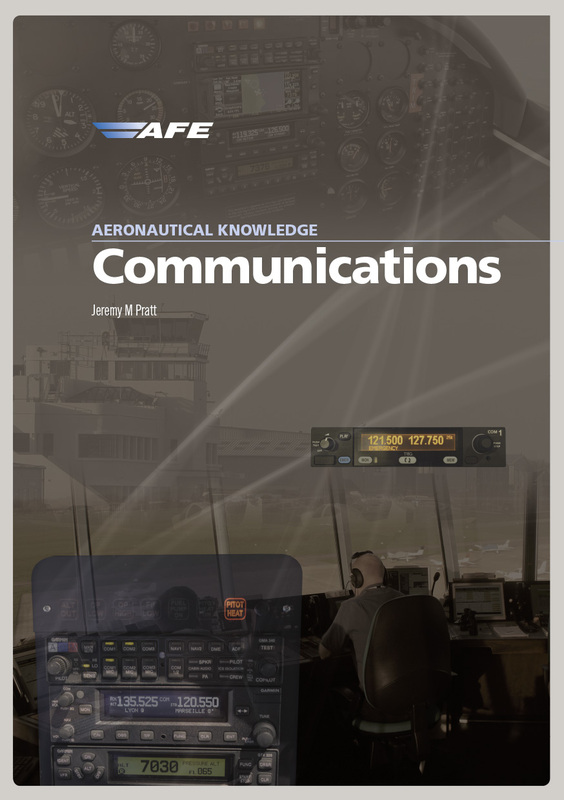 To make the most of this new approach to PPL and LAPL theoretical knowledge, Aeronautical Knowledge, Communications is part of a brand new series of aviation training manuals, designed from the beginning to take full advantage of this new methodology in aviation training. 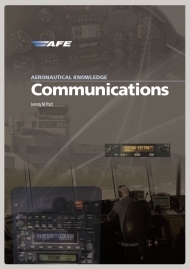 In this book, AFE has produced a totally new publication for the subject of Communications, fully aligned with the 2015 EASA PPL and LAPL syllabi and providing the pilot with a deeper understanding of the day-to-day radio procedures in accordance with European standards including the Standardised European Rules of the Air (SERA). Aeronautical Knowledge, Communications approaches the subject of radio phraseology and procedures on a ‘step-by-step’ basis, from a starting point assuming no prior knowledge of the subject, through to a comprehensive coverage of practical radio communications for Visual Flight Rules (VFR) flight. In line with modern teaching methodology, the emphasis is on developing sound knowledge and practical skills, rather than requiring the student pilot to learn purely academic material with little or no application to day-to-day operations. Aeronautical Knowledge, Communications is part of a new series of publications marking a fresh and modern approach to Theoretical Knowledge training. This series is now delivering the real-word aeronautical knowledge that today’s pilot need – not just to pass the relevant exams but also to operate safely and proficiently in the modern aviation environment. It also provides foundation knowledge for an Air Transport Operations/Management degree or similar academic qualification. This product was added to our catalog on Tuesday 26. June, 2018.